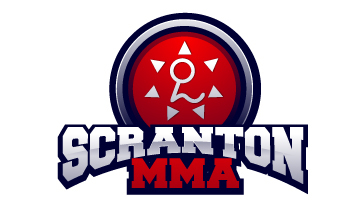 Scranton MMA continues to exhibit why we are the premeire location in NEPA to train bjj and judo! Labor Day, a day dedicated to the celebration of the hard work put in all year by American workers is seen by many to be a day to kick up your feet and drink beer until the tv screen is blurred. Not the case at Scranton MMA! What better way to celebrate the American worker than by doing work! That’s exactly what happened today at Scranton MMA. We kicked off the morning with a 2 hours open mat training session that saw 18 people hit the mats to work on their technique. Gi and no gi, standing and ground, people did work; 5 minute rounds with one minute rest for two hours straight, that’s 20 rounds of sparring! Great work to all that attended the early session and hung in there the entire time, it’s a true test of your jiu jitsu skills to be able to spar that long. Special props to Joe Rossi, who at 13 years old, stayed the morning training instead of rotting his brain with video games! The evening session followed the same pattern and was even more highly attended than the morning session! It’s was great to see the enthusiasm everyone brought to the idea of sparring for two straight hours to celebrate Labor Day. Paul Masterson and Cory Romano were back on the mats, great to see you guys. And special recognition to Kevin Roginski, Chad Rosar, and Jeff Reese who participated in BOTH the morning and the evening sessions, complete insanity!